Mold not only looks and smells unpleasant, but it also poses a number of health risks to those who are exposed to it. It isn’t always easy to spot mold, but thankfully, there are a few common signs of mold to know about so you can tackle the problem before it causes too much damage. Here are some signs of mold growing in your home. If there is a persistent musty smell, you should investigate further. This is typically one of the first signs mold is growing in your home, even if you can’t see it. Unfortunately, a musty smell might be your only clue that there is mold present, so it’s important to pay attention to unusual odors. Once you smell it, look carefully for any visual signs of mold growing in your home and call a professional mold inspector. If you begin to notice that your allergies are worse when you are at home, it may be a sign that mold is growing in your home. The bacteria is actually a common allergen and tends to worsen or cause allergy symptoms in those exposed to it. It won’t take very much mold to trigger allergy symptoms, so it’s important to investigate once your symptoms appear. Mold could be hiding under carpets, behind walls, or in damp areas of your home. Of course, one of the most obvious signs of mold growing in your home is seeing it for yourself. If you notice greenish or black spots or areas, or even white or orange splotches, you should consider hiring an expert to perform a mold inspection. If mildew and other more common forms of mold are growing in your home, then black mold and other toxic forms of the substance can also begin growing. Take care of mold as soon as you discover it and determine how to reduce moisture in your home so the conditions are not favorable for mold growth. If your home has flooded in the past or if you notice signs of water damage, there’s a good chance that mold could be growing somewhere. Discoloration on the walls, floors, and ceiling are good indicators of water damage that could lead to mold growth. 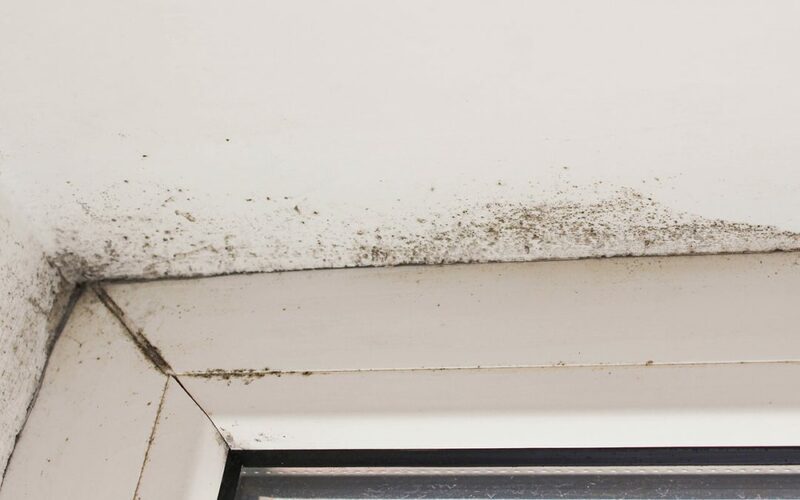 Any other signs of moisture, such as excessive condensation or water leakage, are also signs of mold growing in your home. It’s very common to find mold in your home and it’s important not to let the bacteria get out of hand. Once you begin to notice signs of mold growing in your home, be sure to consult with a professional to have your home inspected and determine the best course of action to get rid of the mold and prevent it from returning. Jernigan Home Inspections provides professional mold inspections and other home inspection services to Middle Tennessee. Contact us to book an appointment.